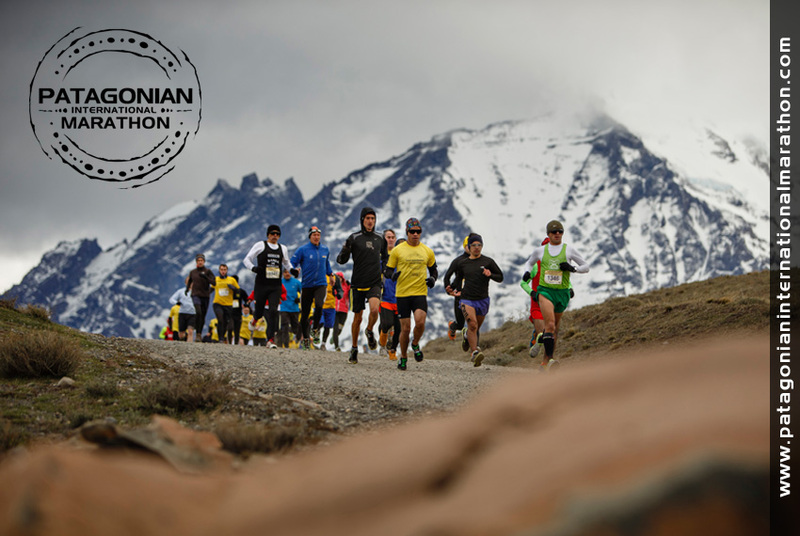 Last year, the initial Patagonian International Marathon took place in Chile’s Torres del Paine. This year’s event will take place on Saturday, September 28th; although I wouldn’t normally mention an event so far in advance, the need to train and make travel arrangements for one of the world’s more remote races takes precedence at this point. 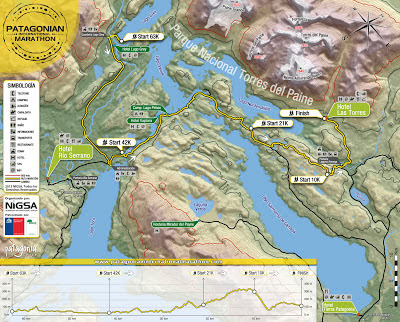 That said, the Paine event – whose goal is to support Patagonian reforestation – is not just for elite athletes. In addition to the full 42-km and a more challenging 63-km ultra-marathon, there are also options of a 21-km half-marathon and a 10-km jog. 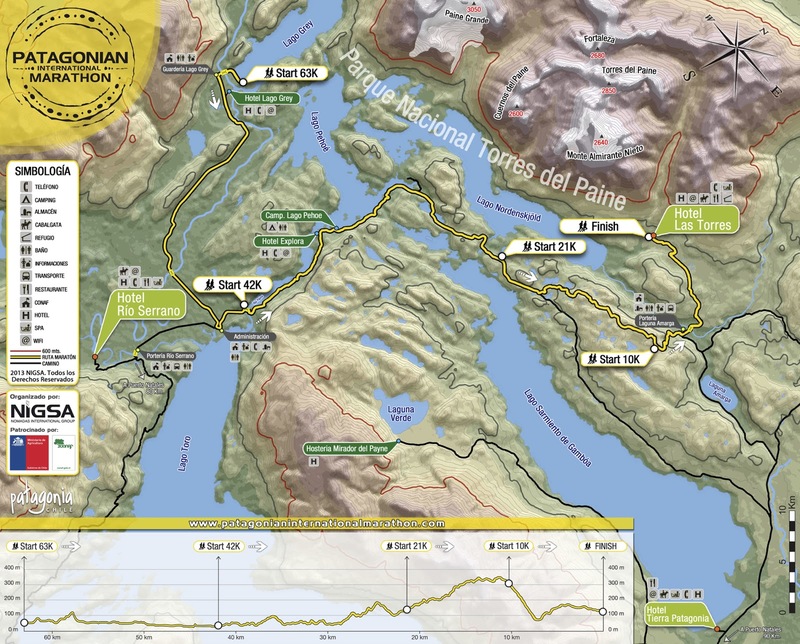 Perhaps only a few truly dedicated individuals will travel so far to participate competitively, but others who are or will be in the vicinity can take advantage of the race (map and photograph of last year's event courtesy of Patagonian International Marathon). As I wrote in my earlier post, Patagonia’s brisk spring winds can make any run a challenge, but the site and scenery are unmatchable. The surface, along the park’s gravel roads, is generally good, but if there’s rain or snow (not unusual at this time of year), runners will need to be dressed warmly and dryly, and avoid the puddles. At the very least, though, the organizers can pretty much guarantee that both athletes and spectators will be able to complete the race and watch the finish without incident. 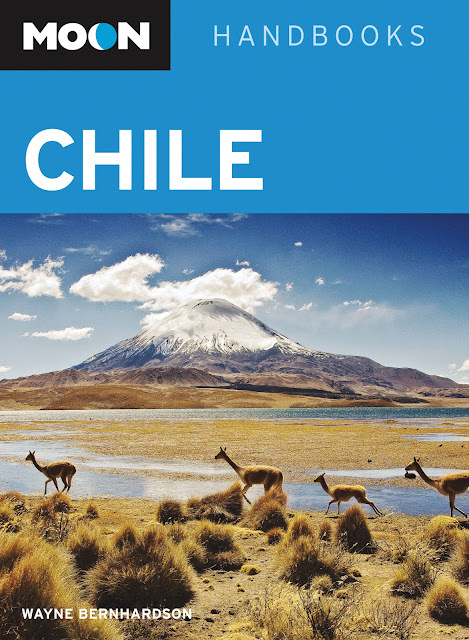 In a little more than a month – Monday, June 17, at 7 p.m., to be precise – I will offer a digital slide presentation on travel in Chile at Santa Clara Country’s Saratoga Library (13650 Saratoga Avenue, Saratoga CA 95070, tel. 408-867-6126, ext. 3817). Coverage will also include the Chilean Pacific Islands of Rapa Nui (Easter Island) and Juan Fernández (Robinson Crusoe), as well as southernmost Argentina (Tierra del Fuego and the vicinity of El Calafate) that appear in the book. 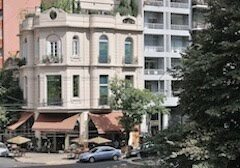 I will also be available to answer questions about Argentina and Buenos Aires. The presentation is free of charge, but books will be available for purchase.